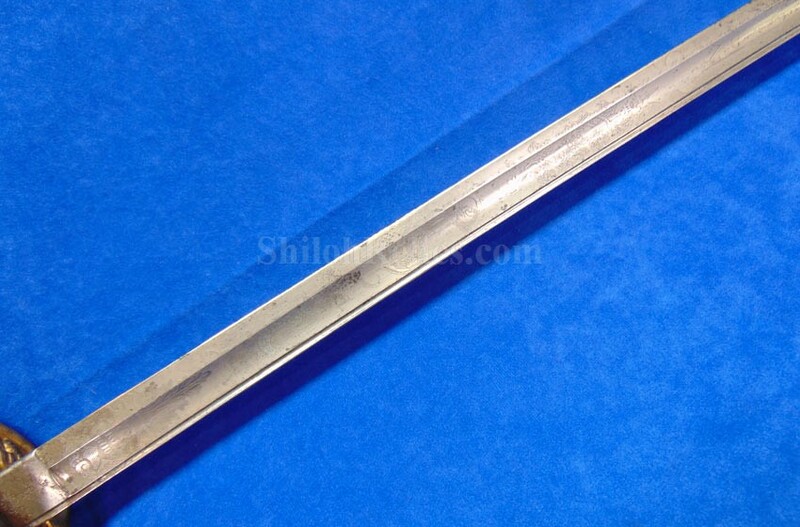 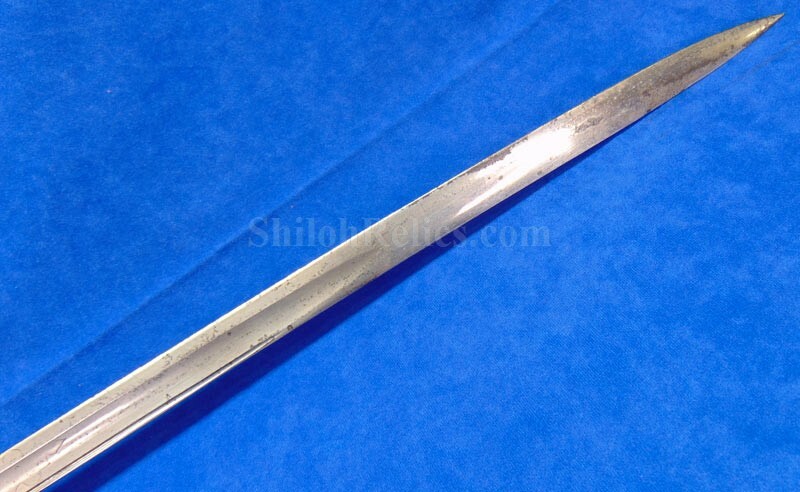 This is a classic original Civil War naval officer’s sword. 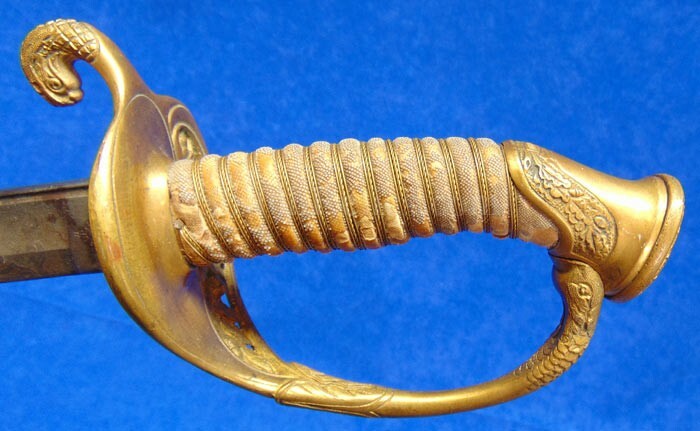 Officially known as the U.S. model 1852 naval officer’s sword, this is the style that was worn by naval officers during the Civil War. 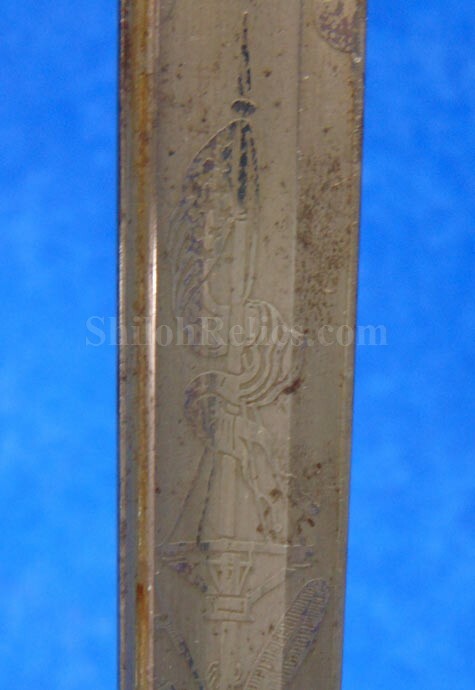 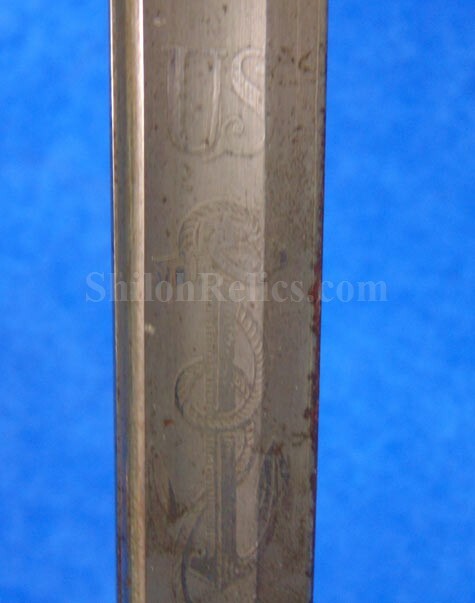 The blade is full length and it still has a fine amount of the etching on each side with patriotic and other designs. 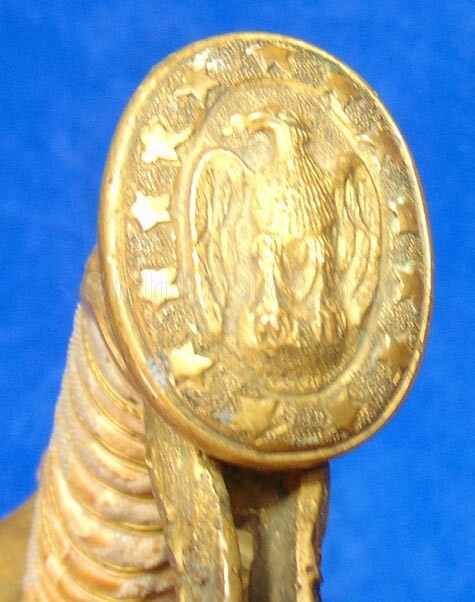 The front side has the anchor over the eagle with the "US" lettering above. 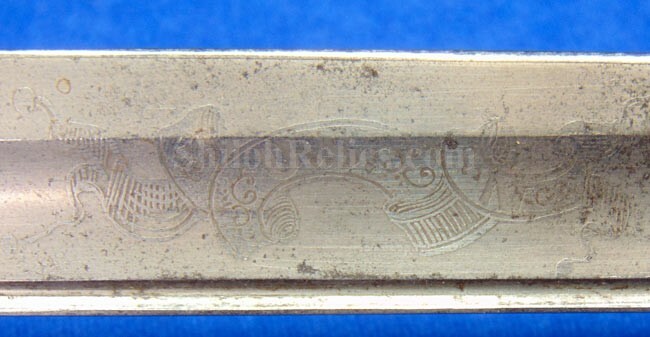 On the back of the blade, it has the banner with the "USN" lettering as well as the large anchor. 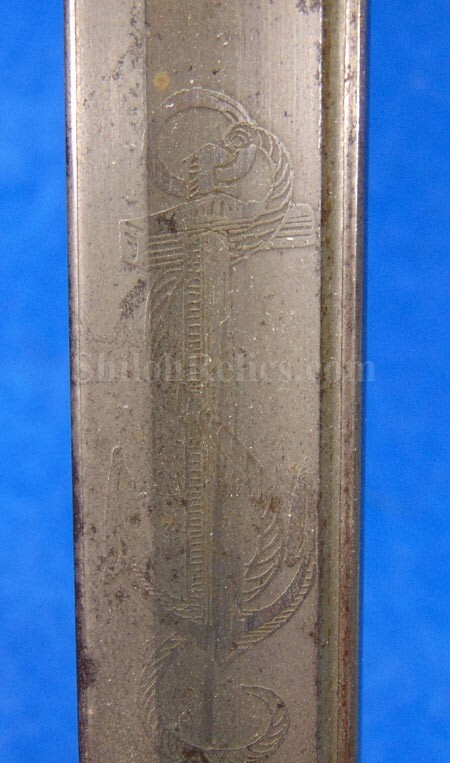 On the back side of the blade it has the stamping of knight in armor. 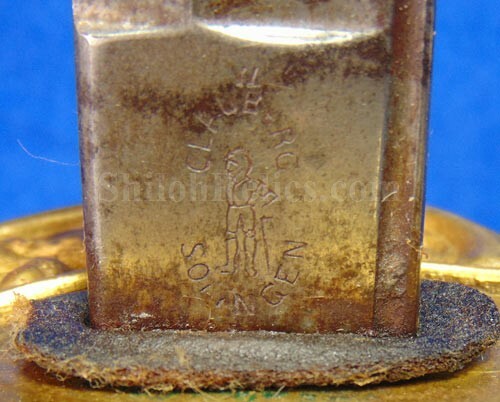 This stamping lets us know that the sword was manufactured by the firm of W. Clauberg of Solingen, Germany. 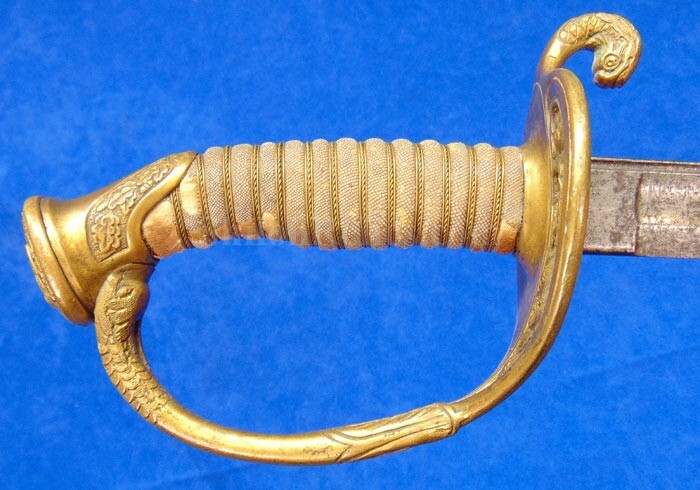 They manufactured many quality edged weapons for the union during the Civil War. 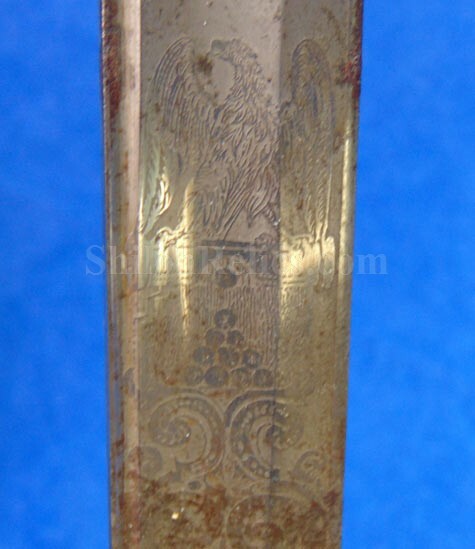 One of their buyers in the states was even the famous firm of Tiffany and Company. 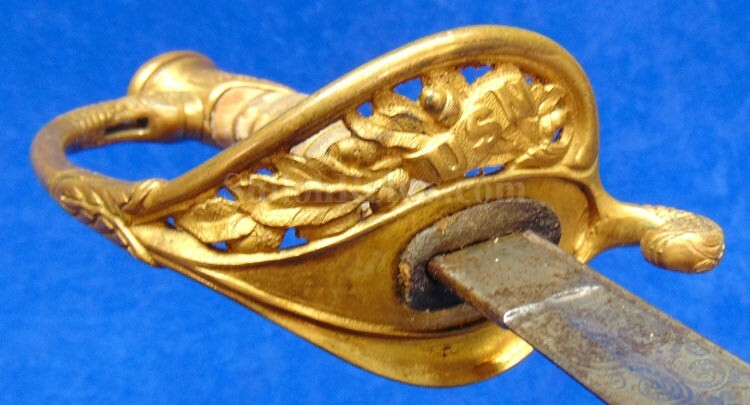 The guard and pommel cap have always stood apart from the normal Civil War officer’s sword. 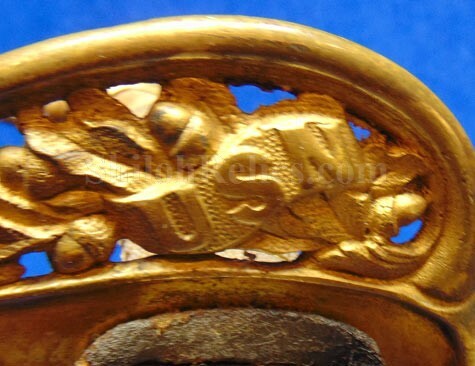 It has the bold "USN” in the basket of the guard and the quillion is made like a serpent’s head. 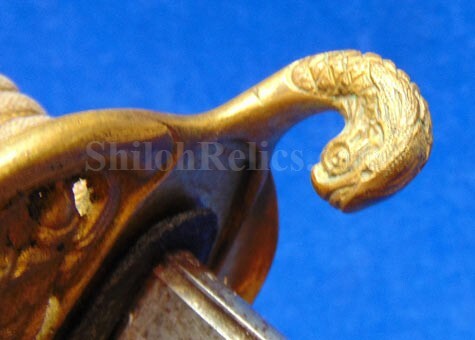 At the very top of the pommel cap it has the droop wing style naval eagle. 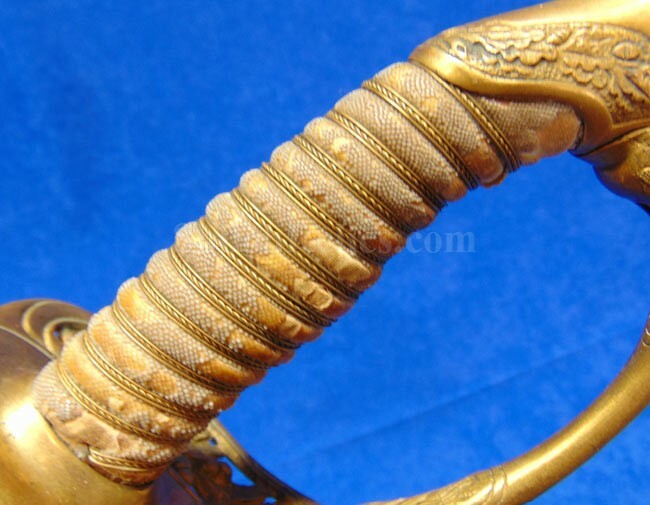 If you notice that all of the brass parts have a beautiful golden patina. 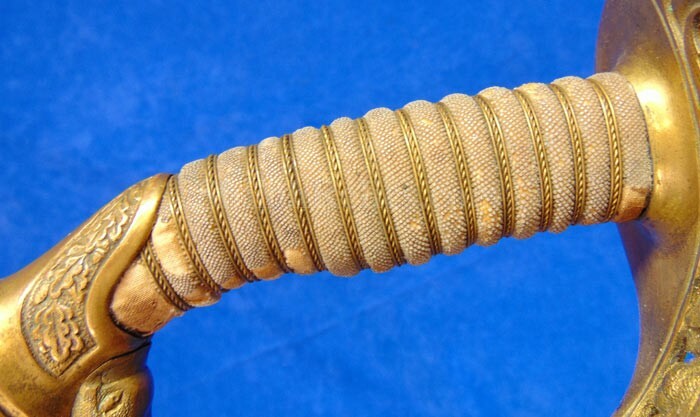 This one has the majority of the original sharkskin grip remaining as well as the double twist wire. 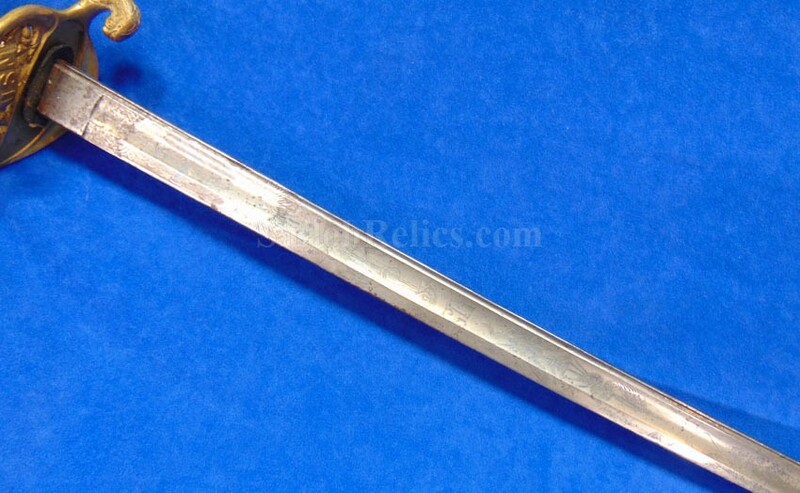 The double twist wire is flanked by the single strand wire. 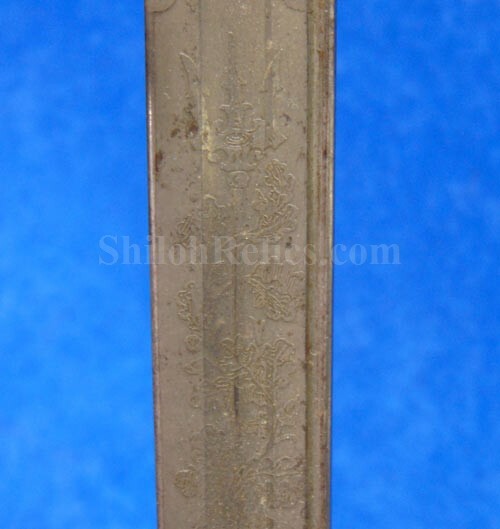 It is missing the scabbard as is so often the case. 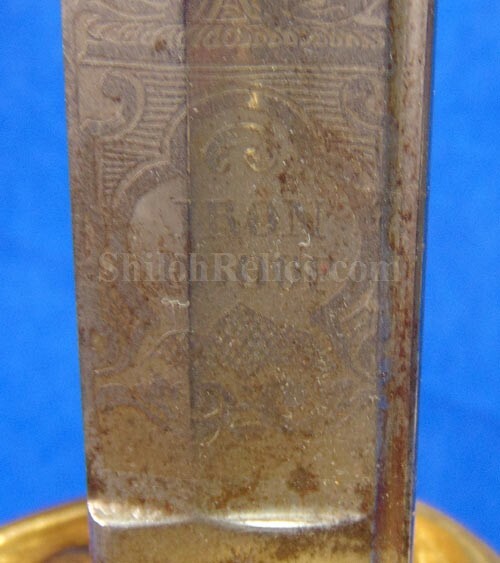 This is an attractive looking original Civil War naval officer’s sword with an etched blade that displays well.